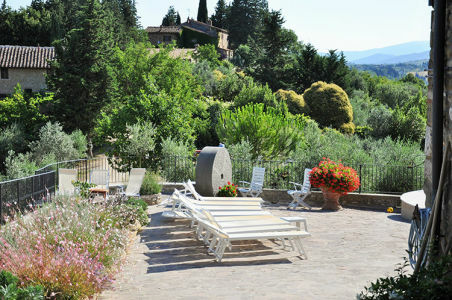 The farm-holiday complex “La Villa Romita” is the product of a restoration of an old XVI th century Convent located in the very heart of Chianti region, surrounded by the cipresses, vineyards and olive trees in the unique and worldwide famous Tuscan countryside. 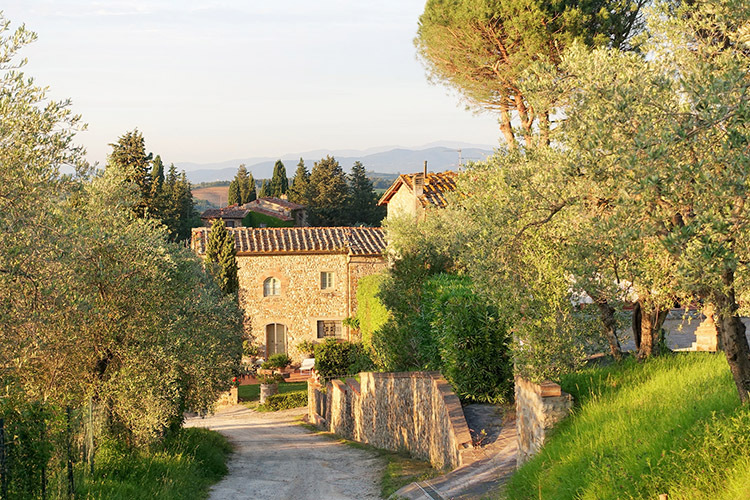 The renovation project has intentionally preserved the existing structure to ensure that guests can enjoy an authentic experience in a warm and most welcoming atmosphere. 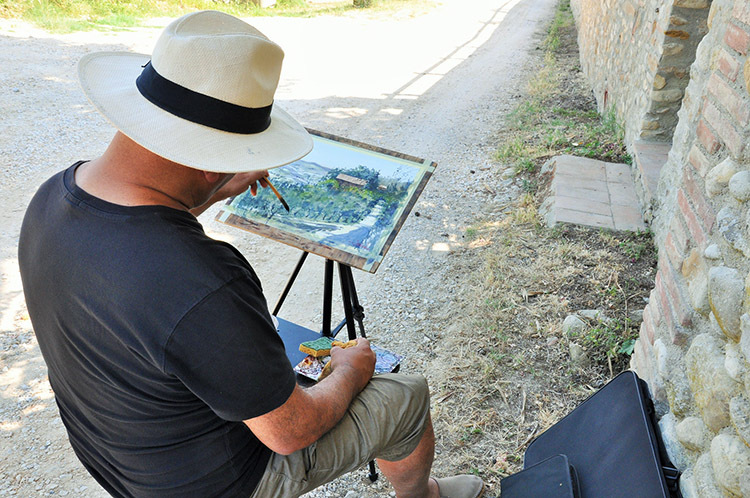 Each with their own unique characteristics (wooden ceilings, fireplaces, private outdoor space) all apartments are furnished in the simple and rustic style that is typical of the Tuscan farmhouse complexes. 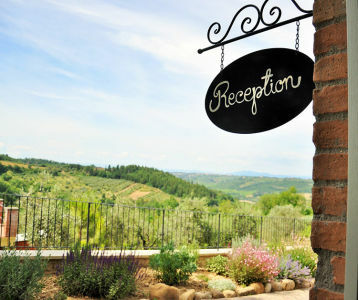 They all have their own kitchen and entrance to ensure that guests can recharge their batteries in complete privacy. 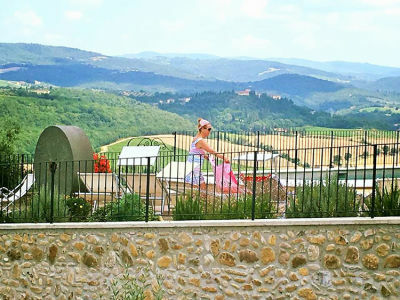 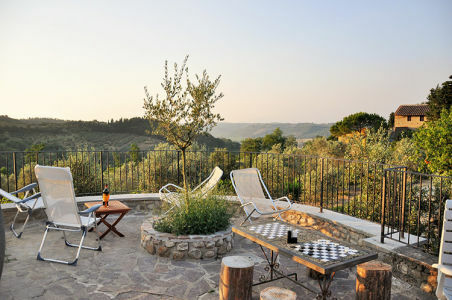 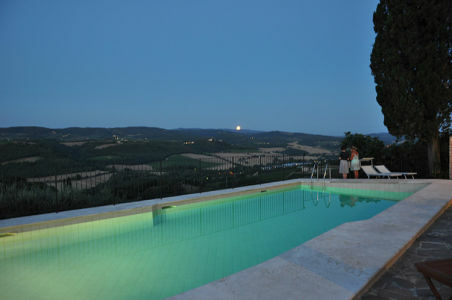 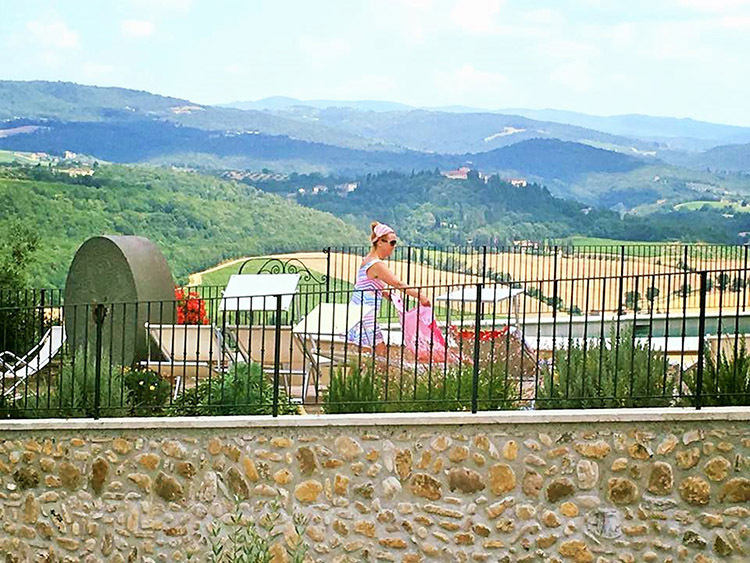 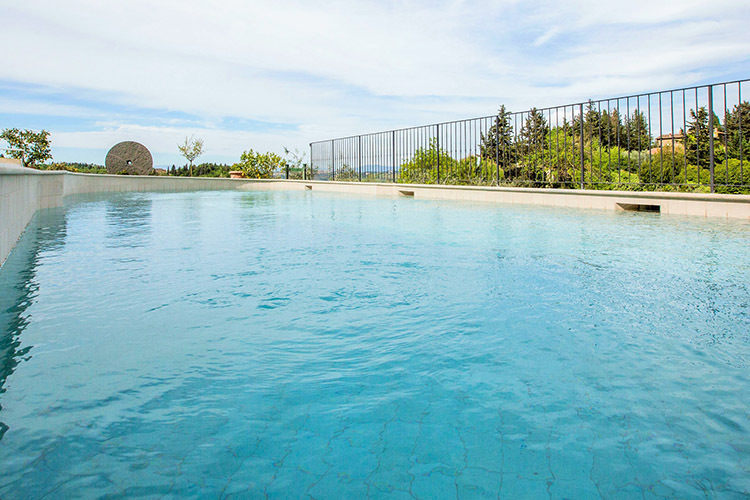 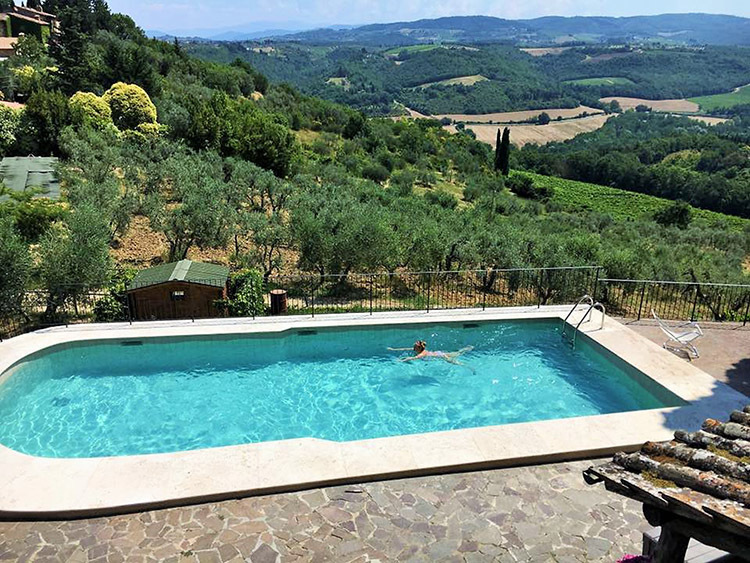 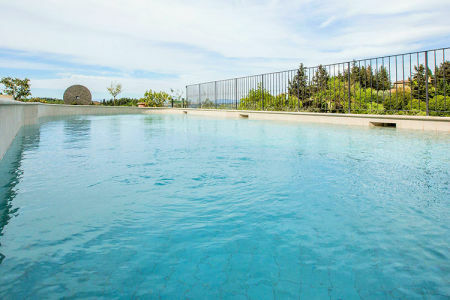 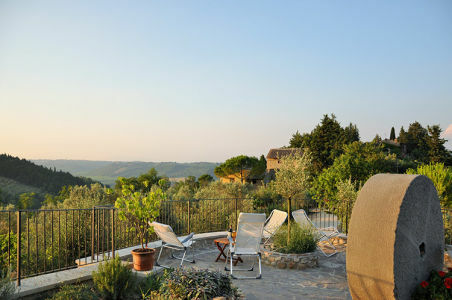 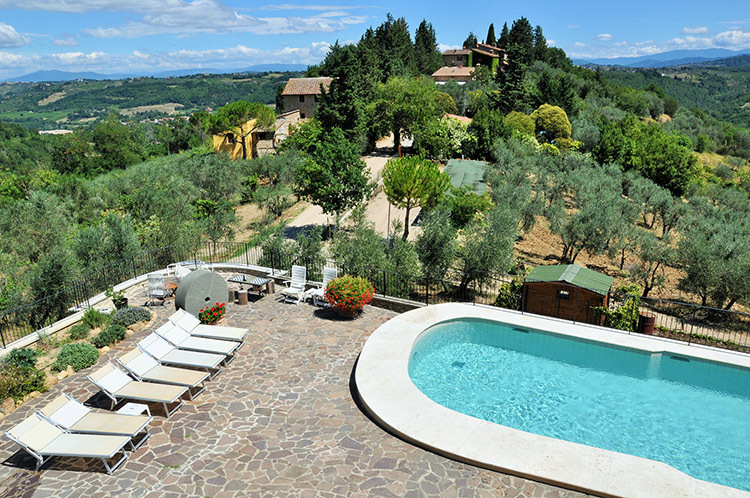 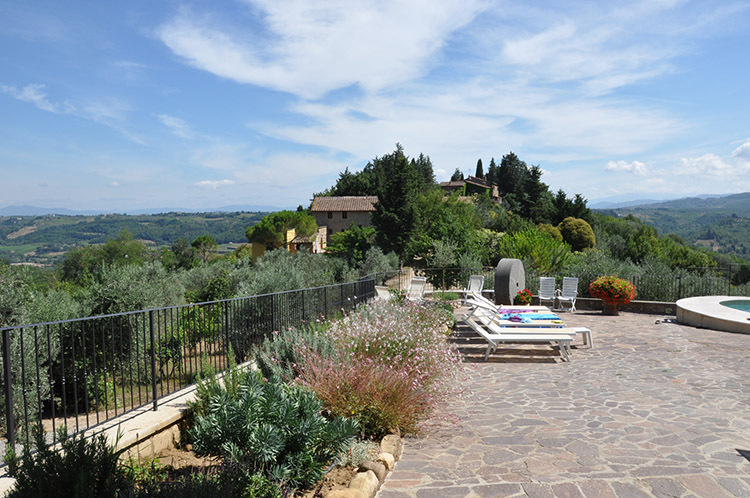 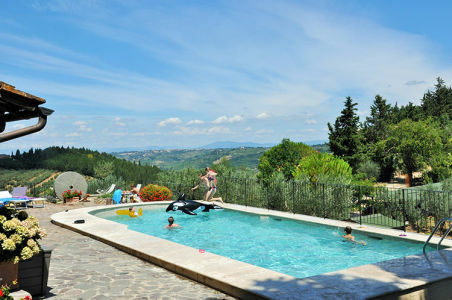 During their stay, guests can take advantage of the panoramic swimming-pool overlooking the Val di Pesa valley, enjoying the breathtaking sunset in complete relax. 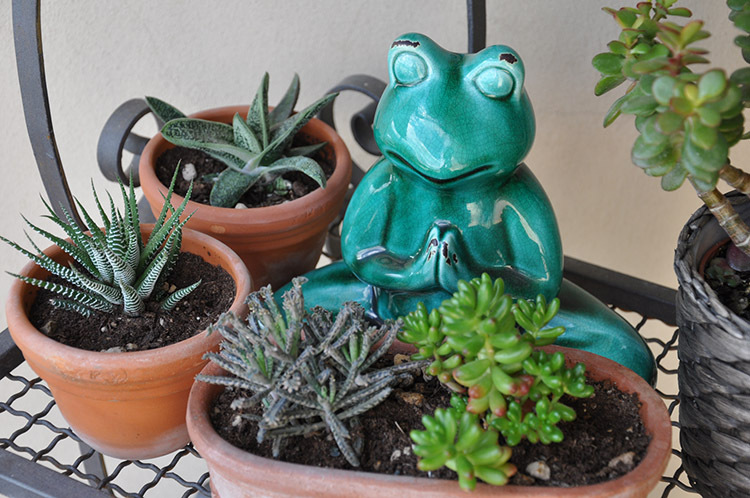 They can reserve wellness treatments such as Shiatzu massages or reflexology treatments, and meditation sessione at sunrise. 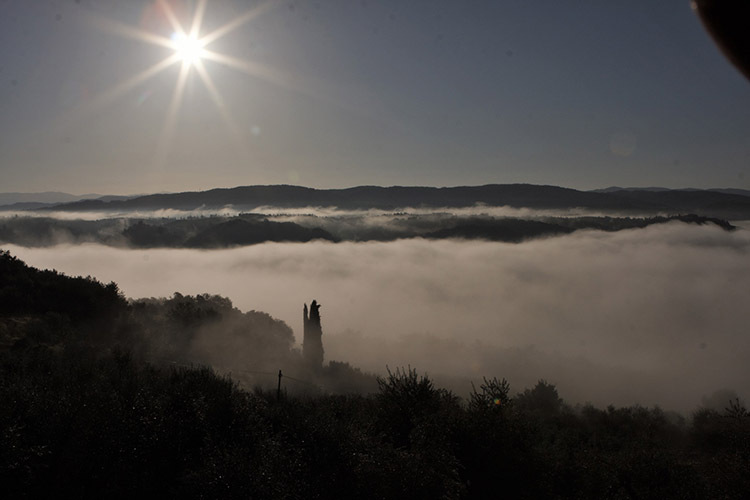 The family who have long been the owners of the small hamlet, personally welcome their guests with the same care and dedication that they lavish on their vineyards and olive grows. 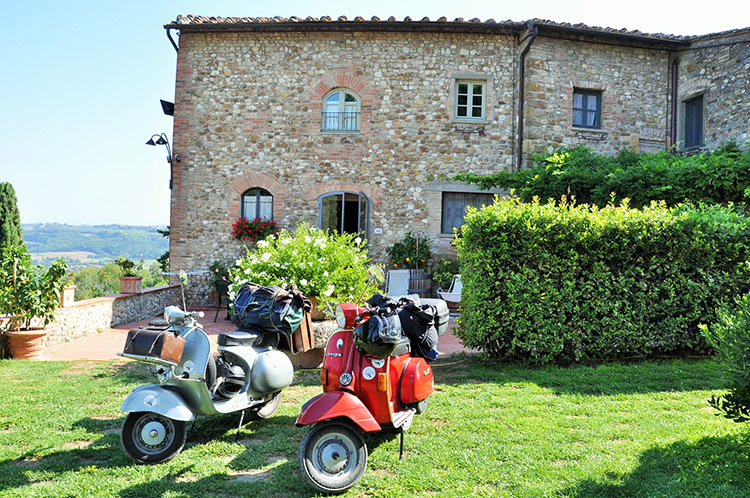 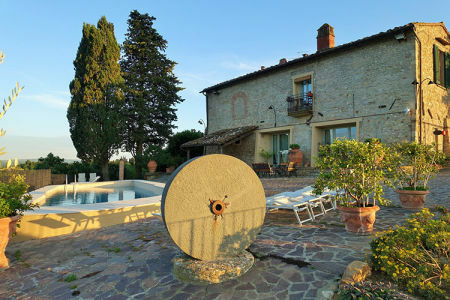 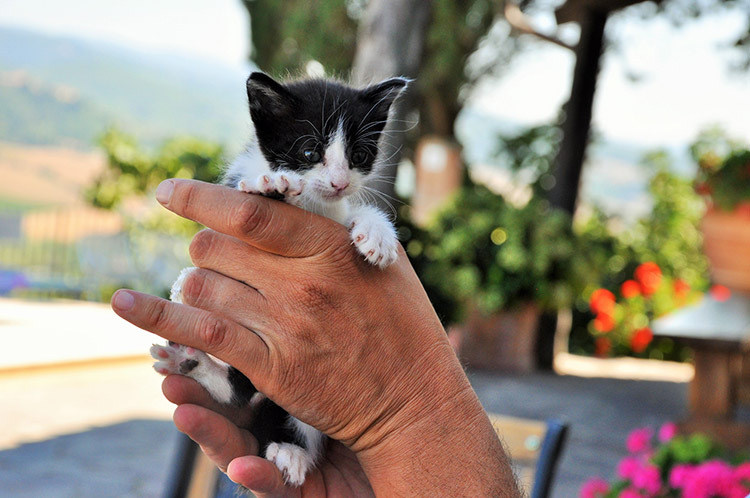 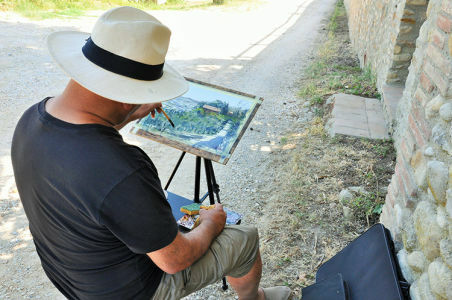 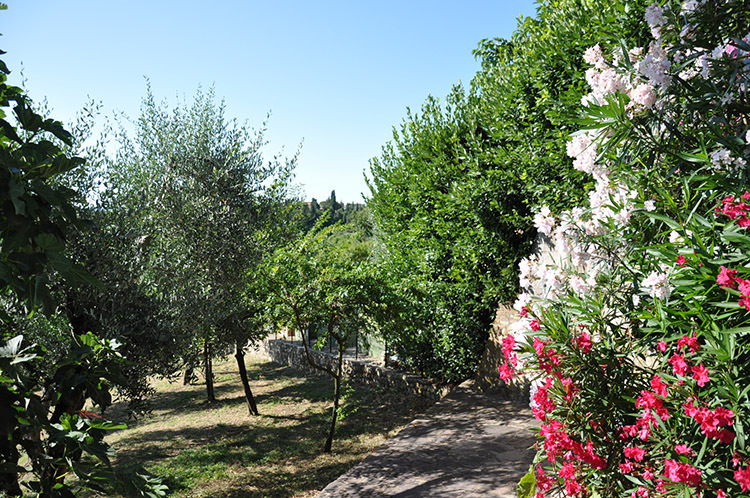 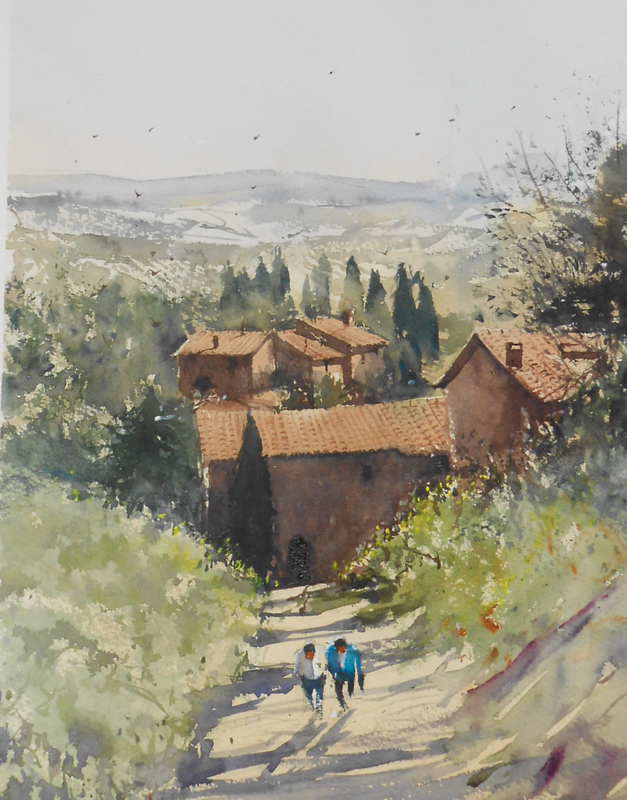 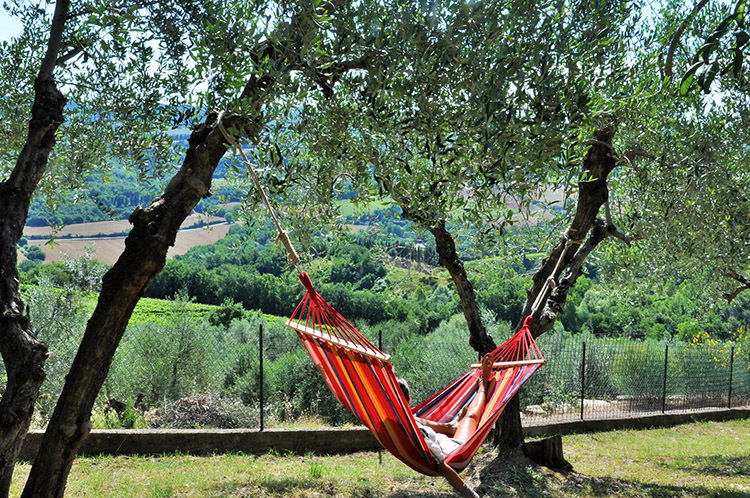 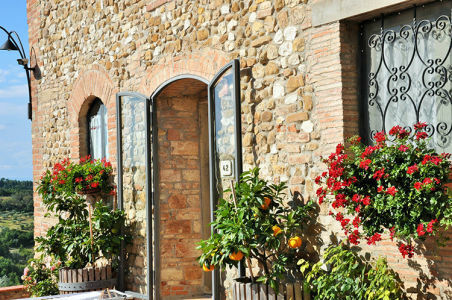 Agriturismo La Villa is located in a very central position to easily reach the most beautiful art cities such as Florence and Siena, and to organize cultural sightseeing and wine-and-food itineraries in the surrounding area. 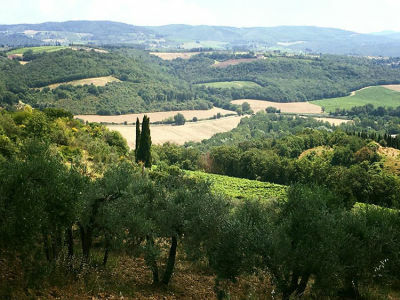 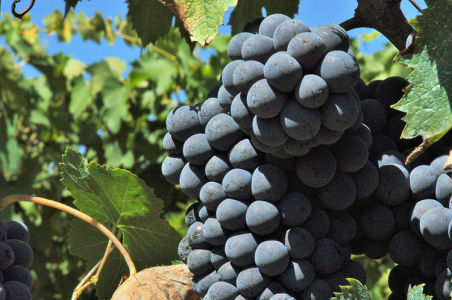 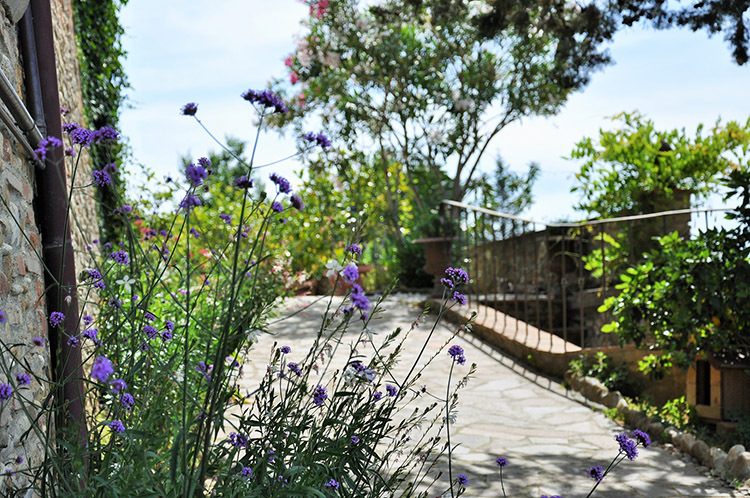 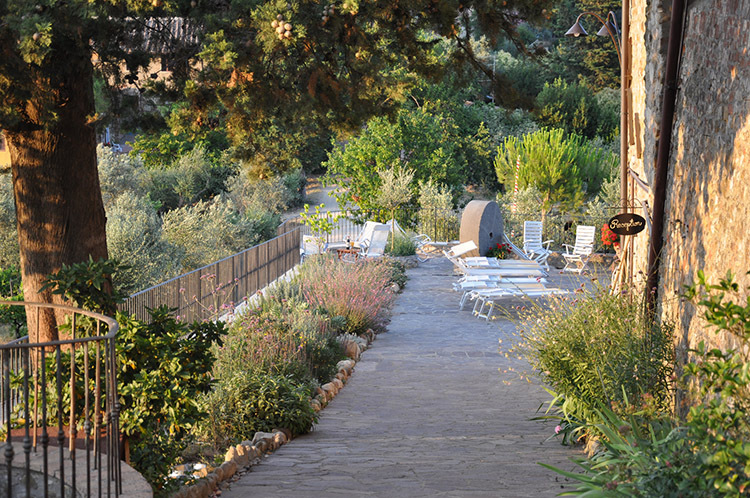 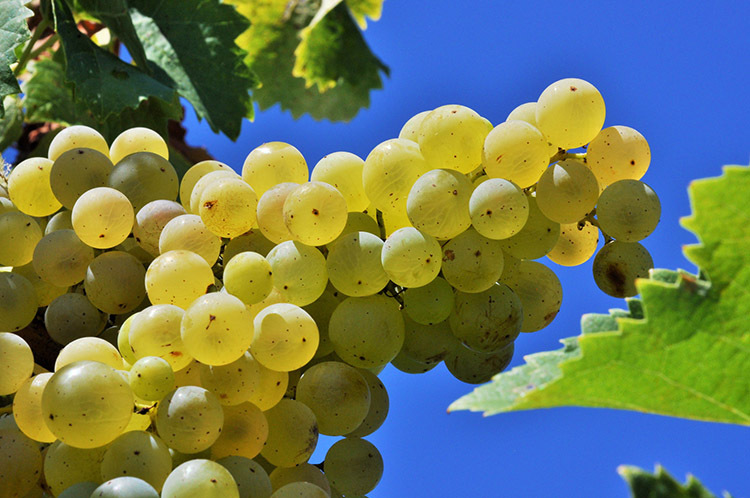 At the farmhouse it is possible to taste the wines and the extra-virgin olive oil produced by the family.